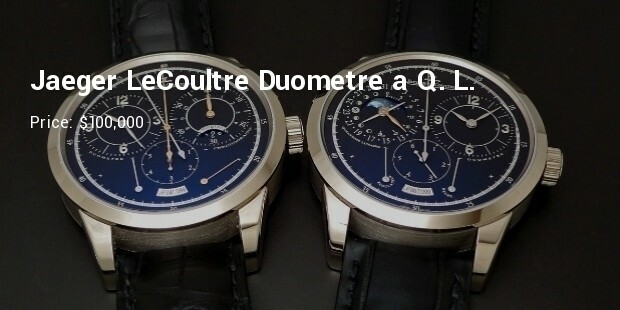 Jaeger LeCoultre known for its Luxury watches has maintained its reputation as an outstanding brand in making classy and sophisticated time pieces. But when you look for superior quality, then you must have to pay a price of it. 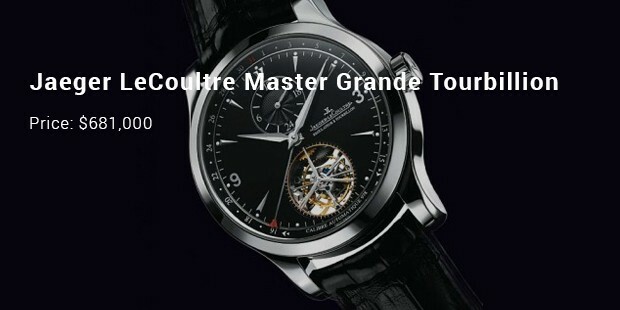 Following are the most expensive collection of Jaeger LeCoultre watches. This stunning and fascinating watch was gifted by Jaeger LeCoultre to queen Elizabeth II on the occasion of the 60th year of reign. This watch features with 576 diamonds and a sapphire dial. It has a black leaves and looks like a bracelet. 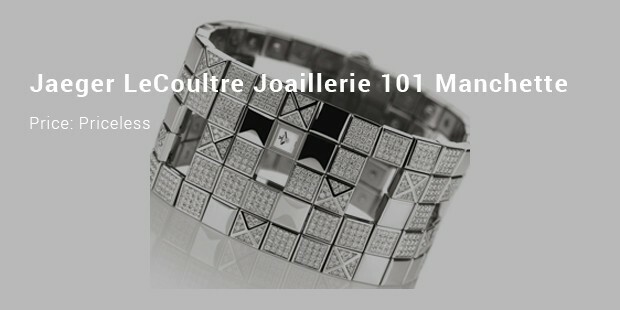 The watch is made up of white gold which weighs 18 carat. In making this timepiece, Jaeger completely rethought the principle of the minute repeater. A perpetual calendar is fixed in this watch. This is an automatic winding watch have enameling and engraving. Due to the enamel which is closely bound to the metal support of the watch, the engraved parts of the watch keep shining. The several effects of light create a feeling of depth. The bezel is set in diamonds. This time piece was the first ever watch with three dials driven by same movement. Each dial presents its own interpretation of time. The back shows sidereal time, the front shows the civil time and the carriage has a perpetual calendar. This watch also has a zodiac indicator and a celestial sign chart. 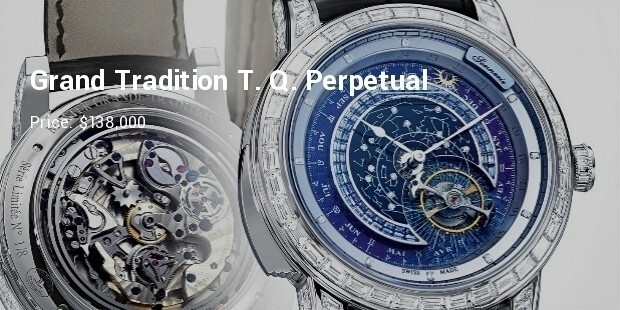 This one of the most expensive watches is a limited edition . Only 75 were made in total. It carries a case that is made of platinum and has a dial that is ruthenium and plated with rhodium. 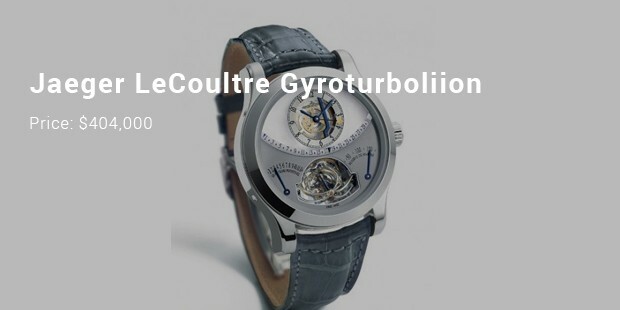 The Gyrotourbillon also features a crocodile band with a sapphire crystal, and is water resistant up to 50 meters. This is also a limited edition watch and of this only 175 pieces were made. 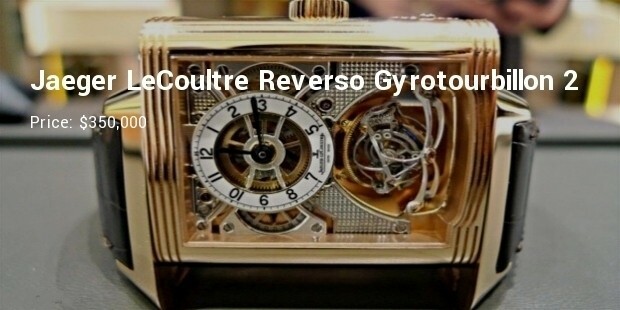 It boasts of a rose gold skeleton and has a beautiful face that features a minute repeater. 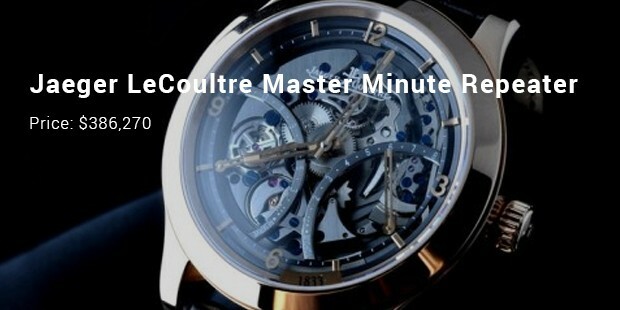 The gongs minute repeater gongs mechanisms are welded into the back of the sapphire glass, which makes it as one of the most innovative minute repeater . This is a watch with manual winding and a case size that measures 44 millimeters in diameter. 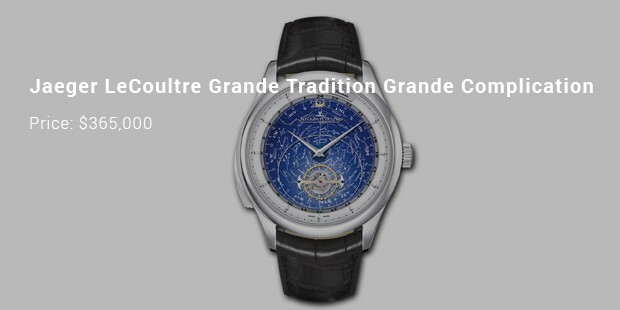 It also features a 24 hour display and a tourbillon window. A limited edition watch this too , only 75 pieces were ever made. 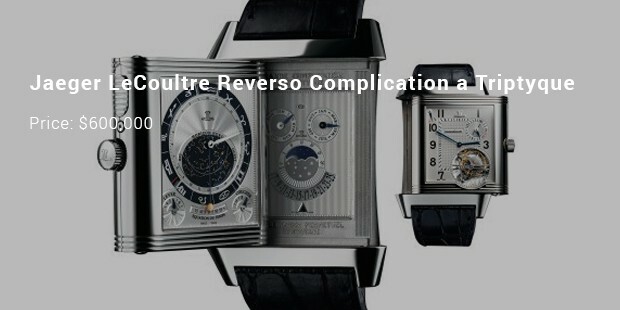 It has a triple complication that conveys a perfect blend of haute horlogerie with advanced technology. Considered as the mother of all Reversos watches , this watch features a double axis tourbillon having a cylindrical hairspring. The watch is encased in a massive barrel so as to accommodate the spherical shaped tourbillon. Equipped with a secondary integrated lock slider which is located near the crown ensures to avoid accidental reversing. This perpetual watch features a tourbillon cage is made of ultra light titanium . Located at the 6 o’ clock position it is a sophisticated time piece . There is also a perpetual calendar complication displayed with the month, day and date. Even the year is displayed right in the center in the top sub dial. This Lunaire watch is made with a dual wing system which features the silver and golden gears , all polished pinions which are set in golden chatons. All the parts are finished by hand and the bridges feature an exquisite striping. 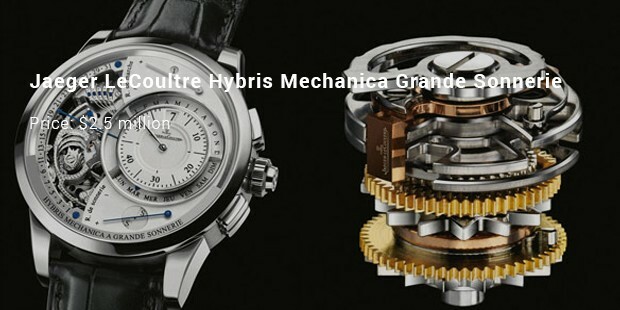 This brand has performed phenomenally to bring Swiss watch making industry in the position what it has today. Complex craft and exclusive design is the trade mark for this brand. Sophisticated and classy timepieces enhance your appearance and confidence.